Enjoy free entry, complimentary passes, newsletters, voting rights and reciprocal rights with other clubs. 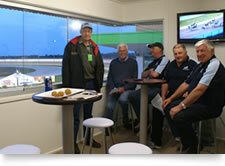 The Corporate box is ideal to entertain guests or share a fantastic night of harness racing with your best mates. 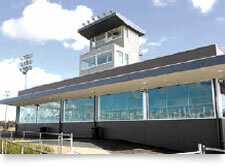 Just metres from the track, patrons can view high quality racing behind the expansive glassed viewing area. 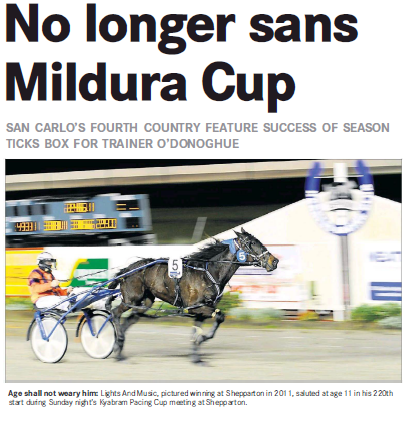 Click here for Australian current and historical race results. If ever a pacer deserved a Group One win it was the one Shepparton-trained three-year-old Lochinvar Art finally achieved at Bathurst last Friday night. 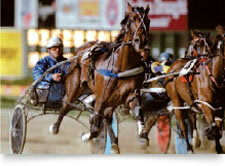 Impact made: Harness racing has lost one of its pioneers Margaret Davies who died last week. 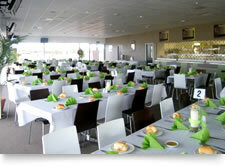 The Shepparton Harness Racing Club conducts racing at the Kialla Racing Complex approximately 40 times per year, predominantly at night and is centrally located to the racing and breeding industries. Thirty of these meetings are the club's own events and the remaining ten are meetings hosted for the Wangaratta, Kyabram and Mooroopna Clubs.